Hello Lovelies! 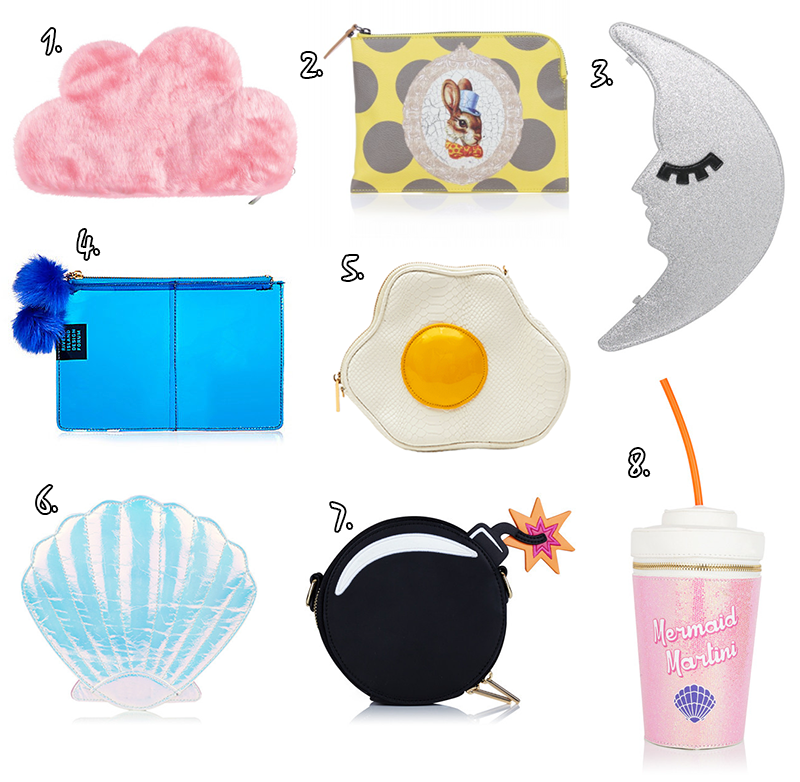 As a proud owner of a unicorn clutch, you probably will expect nothing less from me than a quirky clutch feature. I'm actually pretty sure I've done this before on the blog - so there you go, Miss Predictable. As far as bags goes, I am a little obsessed. If it wasn't for the fact that you constantly have to move all your belongings from bag to bag I would probably have about 10,000 right now to be honest! Thank you for reading lovelies! Have a great Friday! *This is a sponsored post, but if I didn't love it I wouldn't blog about it! Kate spade has a few interesting designs as well! It's mine too actually, so pretty! Eek! I want no. 5 and no. 7! Both are so dang cute but with what's going on in the world today...some might get a touch sensitive with someone wearing a bomb bag. I don't mind it but some might find it not politically correct? What do you think? Haha my thoughts exactly, it just seems so impractical! Omg these are amazing I was trying to choose a favourite and I really couldn't I literally have love for so many of these!